What a great way to pay tribute to a loved and create a memory for you! Choose black leather or white ribbon necklace, keychain, pin or bracelet setting. Please note that each piece is unique to your mold's properties. Due to the nature of materials used and the firing process, shapes, textures and colors may vary from photos. Each Noseprint is like a fingerprint unique to each pet! 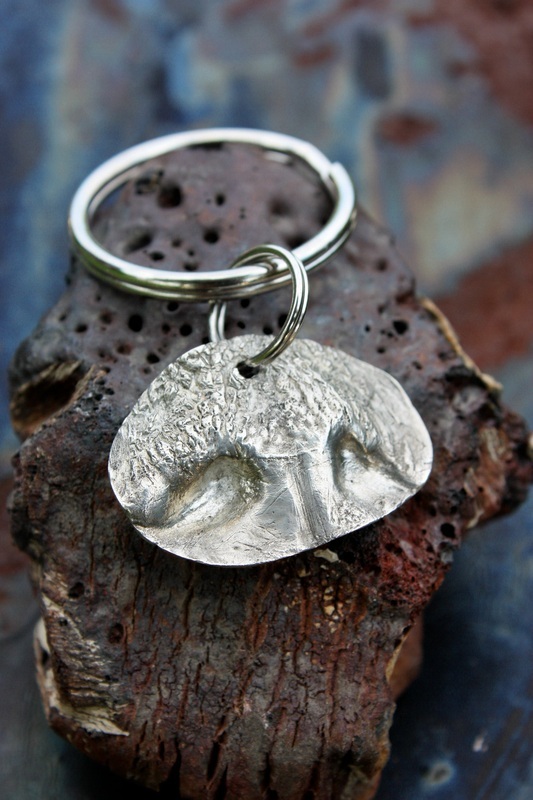 Made in silver, steel, bronze or ceramic, each piece is handcrafted from a mold taken of your pet's nose and can be made into a necklace, keychain, pin or bracelet. You can even combine a person and pet print in one design! It is easy, quick and harmless to your pet. *Please note these are delicate pieces. Keychains are for decorative purposes only. I'll also do pawprints, but the cost depends on size of paw.